Fox NewsThe former VA Secretary David Shulkin. 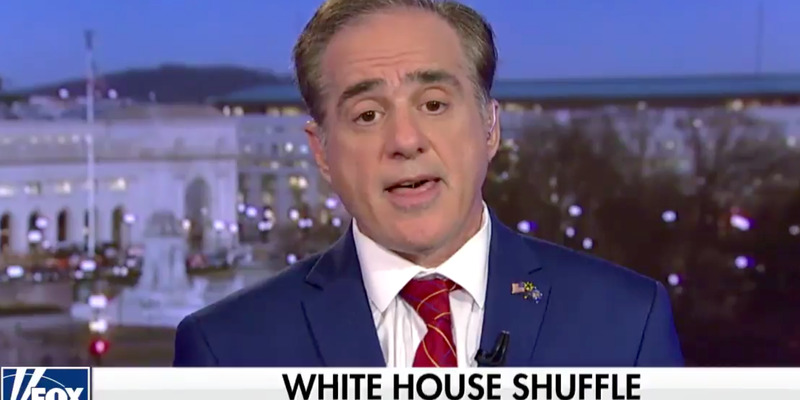 The former Veterans Affairs Secretary David Shulkin is talking about his recent ouster from the Trump administration. Shulkin said his removal Wednesday was politically motivated. Despite losing his job, he offered complimentary words for his expected replacement, Ronny Jackson, the White House doctor. 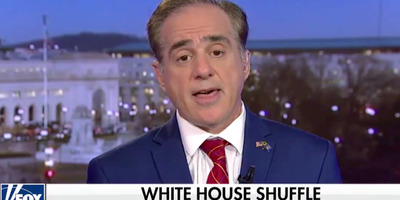 The recently fired secretary of veterans affairs, David Shulkin, on Thursday talked about his ouster from the Trump administration and sought to defend himself from reports critical of his troubled tenure at the second-largest federal agency in the US. “Washington is a town that throws up all sorts of allegations,” Shulkin told the Fox News anchor Bret Baier. Shulkin, a holdover from the Obama administration and the only one of Trump’s Cabinet nominees who was unanimously confirmed, saw his fortunes turn after a critical inspector-general report. The report concluded that he improperly accepted tickets to a Wimbledon tennis match during a $US122,000 government-funded trip with his wife. The report also found that Shulkin’s chief of staff altered official emails to justify funding for his wife’s portion of the trip. “We believe that public officials must be held to a higher standard, and whether intentional or not, misusing taxpayer dollars is unacceptable,” a group of bipartisan senators wrote in a letter. Shulkin later said he was regretting having “relied upon my staff to do this,” and reimbursed the government. Shulkin said he thought his ouster was politically motivated. Trump announced on Twitter that he intended to nominate the White House physician Adm. Ronny Jackson as Shulkin’s replacement. Trump also said Robert Wilkie, the undersecretary of defence for personnel and readiness, would serve in the interim. Shulkin said he wished the best for Jackson. “I will help Dr. Jackson in any way that he needs help because it’s very important that we succeed at this mission,” he said.